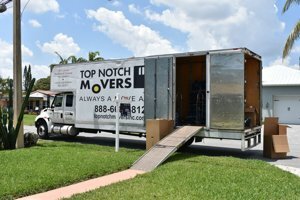 Movers, all about them and more | Top Notch Movers Inc.
Movers, we hate them, but we need them. 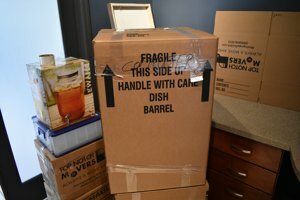 Let me share with you what I learned about movers and moving companies in the past eight years. First, let me begin by saying that I am not a fan of the moving process. Most of the time it is a complicated and very stressful event. My name is George, I worked with various moving companies for the past eight years. I worked as a mover, driver, foreman, and a packer for the first four years. After, I began my work in the office. I worked as the sales, customer service assistant and the dispatch. I have a good idea of what it is like to be a mover. All about the moving companies. Movers, people behind the business. 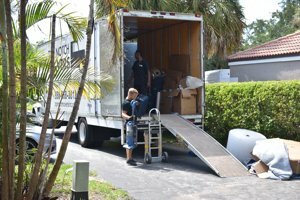 Moving services, a breakdown of the movers. The estimate for your move, honest vs. dishonest movers. 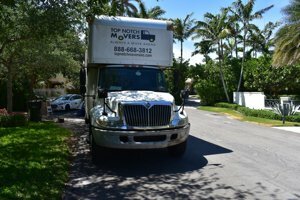 Why you should consider Top Notch Movers. All about moving companies, from the mover, about the movers. How can I describe a moving company? Shortly, individual or a few individuals opened a business to help other to relocate their household goods. What are the essential parts of the moving company? State and county licenses to operate as a mover. Enough insurance coverage to be licensed. Location for the operation and other business-related activities. Experienced personal that passed background checks. Proper paperwork that is checked and regulated by USDOT. A lot of the companies missing those things. Unfortunately, the Department of Transportation doesn’t have enough resources to control every moving company in the U.S. I suggest doing your research carefully. Moving companies must have their essential parts in order. You need to go and check your movers. Does moving company refuse to provide you with their DOT number? Avoid them, do not do business with the shady practices. Moving company must list all the licenses, their contact information and related information about the business. Avoid companies with old, outdated websites. Think, if they cannot update their website or provide you with the necessary information, what quality of the services can they offer? Check Google for the link to the Department of Commerce of your state. Look up the business name of the moving company. If you can’t find it, try to look up as a DBA. If you are unable to get any information, I would ask a moving company to provide their official profile. Avoid moving companies that are registered in different states. These are some of my suggestions. Better be safe than sorry. A great moving company should pass all the checks and have everything that I described above in place. The moving company should be responsive and open to all the questions that clients might have. Doing research on the moving company is important. It is also important to check who will be handling your move. Call up the moving company you have chosen, ask them a bit more information about the movers who will take care of your move. Have an ability to work for long periods of time. Treat you, and your items with respect. Always inform you of any changes, either in the billing or the planning of your move. Communicate any issues with your move to the office promptly. Being a mover is not an easy task. Many moving companies struggle with the hiring of committed helpers or drivers. Average pay for movers can differ greatly, based on experience and performance. Depending on the type of job movers either getting paid per job or per hour. The short answer is yes, you should. This is a common question that most of our new clients ask. A moving company can never suggest tipping, but we won’t be against it. Moving is a hard job, and movers are always appreciating the tip. The amount is irrelevant. An average tip can vary. We suggest $10/per person for each $500 of the bill. So, let’s say your move took 6 hours to complete with 2 guys, and your total was $600-800. $20/tip for each mover will be a perfect amount. This calculation only applies to the local moves. For the out of state moves, we suggest $10/per person for each $1000 of the bill. Talk to the foreman, or the crew leader to take care of the tipping. He will make sure to split the tip equally between workers and provide you with the change if needed. How do I prepare for the movers? There are no specific instructions on how to be ready for movers. However, there are some tips that I can share. Make sure that your pets are locked in the bathroom or any other place where movers won’t go. Moving bulky and heavy items is difficult. Therefore, it is even more difficult when you have a dog or a cat running in front of you. Prepare your items to be moved. Clean up all the mess around the boxes and the furniture. This way it will be easier for the movers to grab your furniture and load it to the truck. Empty out your drawers. Loaded drawers add a lot of weight to the item and can increase chances for it to be damaged. Save money and time by organizing miscellaneous items. If possible, have water available upon request. These small things can greatly improve your moving experience and ensure a smooth relocation. How can you know who to hire? At Top Notch Movers we are selecting and hiring only top talents of the industry. Choose to move with us, avoid a headache and countless research. What types of companies can you find in the U.S.? Let’s put it in order. Moving to the storage company. Movers for your bulky items. A company who handles packing. Any company that provides relocation services within the state of its operation can be called a local moving company. They are the ones who you need to call if you are not going to move out of state. Usually, local movers will charge you based on the hourly rate. Depending on the date and the size of your job rates can vary greatly. If you are looking to move out of state, these would be the movers to call. Long distance moving company carry licenses to handle your goods between the states. Long distance moving companies charge based on weight or the size of your shipment. If you are looking to reduce the cost of your move, I would suggest getting rid of the old items that you don’t use. It is a great time to unclutter and dispose of unnecessary garbage in your house. Commercial movers specialize in the relocation of the businesses. They are moving offices, warehouses, stores, and all the commercial organizations. Commercial movers carry better insurance coverage and have personal that specializes in the disassembly of the office furniture. Moving your office? Have cubicles? Call commercial movers and check if they can move your cubicles. Not all the commercial movers offer to relocate cubicles. Movers who provide a storage option for their clients. Either a short or a long term. Depending on the company it can be either a separated unit or a facility with the wooden crates. Contact your movers and ask them about the type of facility. Check if you can access it at any time or it has to be by an appointment. This way you won’t be surprised. Not all the movers offer a piano moving service. If you have a piano, I would suggest checking with your mover if they offer services to relocate it. It is hard to move pianos, they are extremely heavy and complex musical instruments. 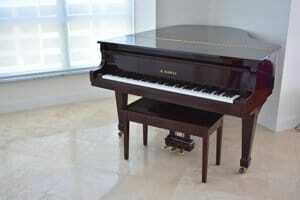 The upright piano is a much easier and a cheaper to move, however, baby grand can cost more than $500.00 to relocate. Movers should carry a piano board and the straps to secure it on the board. What items considered to be bulky? Safes, pianos, pool tables, swings and other furniture that are extremely heavy and sizeable. There are moving companies who specialize in the relocation of bulky items. They carry proper equipment and tools. Have any of the items described above? Call up your mover and check if they are able to move it. Sometimes it can add up to the cost of your original estimate. However, it is better to let one mover do it all. This way you can avoid a headache of trying to communicate with the two moving companies at the same time. Your most valuable items must be moved with care. Not all the movers know how to prepare your art and antiques for the move. Fortunately, there are companies who specialize in moving of the high-value items. Do you have any art or valuable antiques? I suggest to purchase additional insurance and inform your mover about the relocation of these pieces. When informed, movers can be prepared and get all the necessary tools and packing ready. The safest way of moving art and antiques is to place them inside of a custom-made wooden crate. It can be expensive, but the level of protection worth the cost. 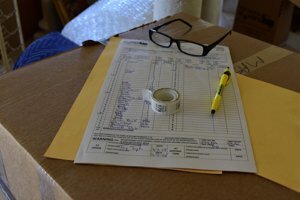 Do you need help organizing and packing your boxes? There are movers who can help you. Some moving companies offer full packing, unpacking, and organizing. Check with your moving company about the cost of the full packing services and what comes with it. In most cases, movers will provide all the packing materials and get the job done for you in no time. Unfortunately, not many people know that full packing services do not include unpacking. Unpacking services billed separately and most of the movers will only unpack your items by opening the boxes and putting them on the first counter they see. What is best, packing yourself or be packed by the movers? I suggest movers, but both ways have their advantages. The delivery company offers express delivery of a small or a partial load. Single furniture items, pallets or a minimum amount of boxes can be delivered to you by a delivery company at a more affordable cost then what movers would charge. I suggest hiring a delivery company if you have a minimal amount of things. Sometimes movers can provide delivery services. Moving companies that have smaller box trucks and moving vans can offer such a service. Removals offered by many, from landscape companies to the businesses specialized in recycling. Moving companies offer such services to the customers who move. This way they don’t have to hire a separate company to do the removals. A moving company can take your old furniture and donate or trash it. Speak with the representative of the moving company and ask them about the removal services. Not all the companies will advertise this, as it is not their primary service. The estimate for your move. Honest vs. dishonest movers. 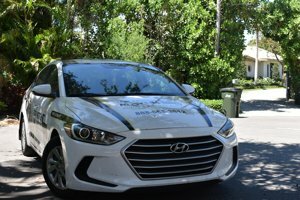 There are two types of moving estimate. Binding and non-binding. You as a customer need to be sure to pick the right one. Otherwise, you can find yourself in an uncomfortable situation. Therefore, I would like to offer you a more detailed description of the moving estimates. Read and check what the moving company offers before choosing it. Go thru the offer and pay attention to the fine print of the estimate. Do you want to know more? Visit Michael Garcia site, he provides legal services for moving companies and movers. His article about the types of estimates is one of the best I ever read. How to find a reliable moving company and movers? But you can’t always trust the rating of a moving company. Call them up and ask them questions about who they are and what services do they offer. Evaluate their response and over the phone conversation. Representatives of the company must be very polite and provide you with all the information you need. Finally, after researching your mover online, check with your friends and family for referrals from their moves. I suggest you get at least three estimates from movers. It is important to compare and choose the best. Cheap is not always the best. Sometimes it makes sense to pay a bit more for a better quality of services. 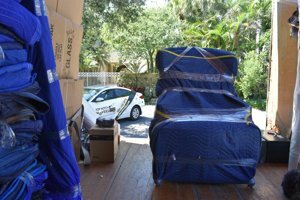 Why you should consider Top Notch Movers Inc.
Would you like to avoid all of the headaches of searching for a reputable and reliable mover? Easy, choose Top Notch Movers Inc. We are a fully licensed and insured moving company. We provide a wide variety of services for our clients in Florida. Please, if you have any questions or would like to discuss your upcoming move, do not hesitate to call us. Our customer service and attentive moving experts will be able to assist with the moves of any difficulty. We offer competitive rates and provide an exceptional level of services. Our business builds around the needs of our clients. Customer service is our top priority, call us today and get all of the information needed. I hope that this article provided you with the information that you need. There are plenty more to read and go thru before choosing a mover. Make sure to do your due diligence. Stay safe, and thank you for reading.